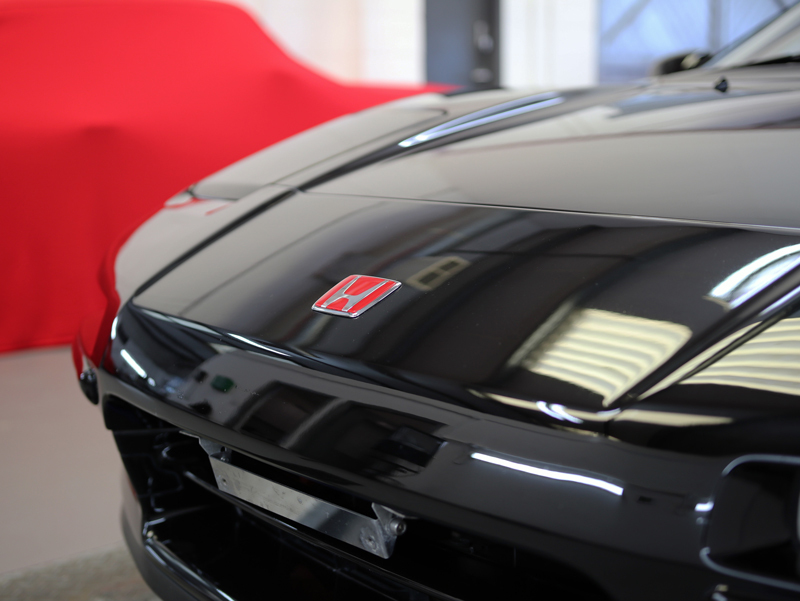 In last week’s blog, ‘A Legend Reborn (Part 1)‘, we featured the decontamination, cleaning and paint correction processes carried out on a classic 1991 Honda NSX. In Part 2 we conclude the detailing work. 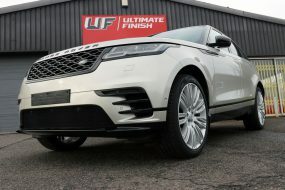 Having corrected and refined the soft paintwork, the bodywork was wiped with a solution of Gtechniq Panel Wipe to remove any polish residues that may be lingering as these would interfere with the chemical bonds the coating needs to form. In this instance, Kamikaze Collection ENREI Coat was selected in keeping with the Japanese theme. ENREI is Kamikaze Collection’s flagship ceramic coating, combining state-of-the-art technology and the latest in innovative glass coating components. ENREI is a two-step system: No. 1 Base Coat provides a uniform layer with a high chemical affiliation for the No. 2 Top Coat. An innovative mix of organic and inorganic layers creates an enhanced number of chemical bonds that provides ENREI with industry leading longevity. An important part of the performance of ENREI is not only in the engineering of the coating, but also in the application method. Kamikaze Collection experimented extensively with different ways of laying down the coating to find the optimum method to ensure enhanced performance. Thus, ENREI must be applied following a strict methodology, with specific curing times allowed between the application of the two coats whilst controlling temperature and humidity. As a result, ENREI is only available as a service through Kamikaze Collection trained and certified detailing studios. Once ENREI is cured, it provides extreme water and dirt repellency, preventing contamination from adhering and helping to keep treated surfaces cleaner longer. 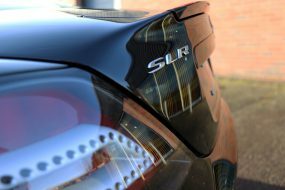 This results in the car being easier to clean, reducing the chances of scratching or swirling the paintwork during the weekly wash. 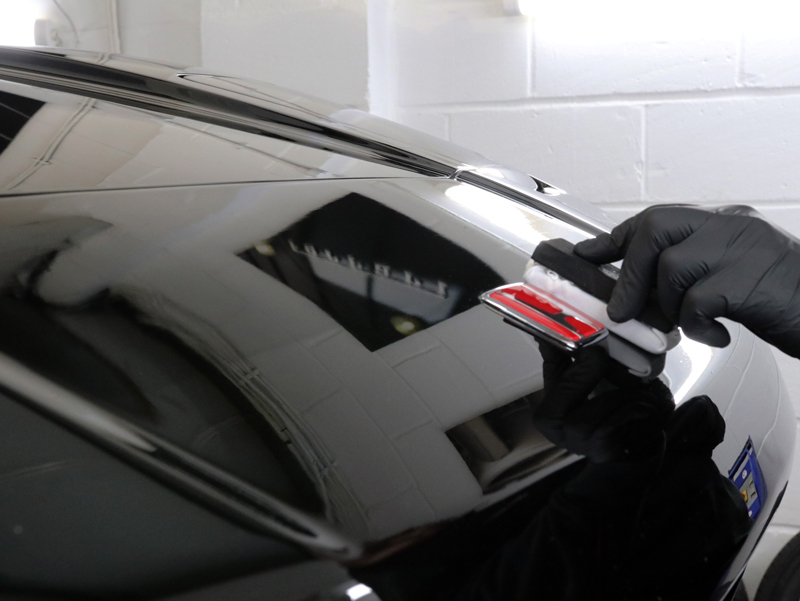 In addition, ENREI provides a gloriously reflective shine that compliments any colour of paintwork! 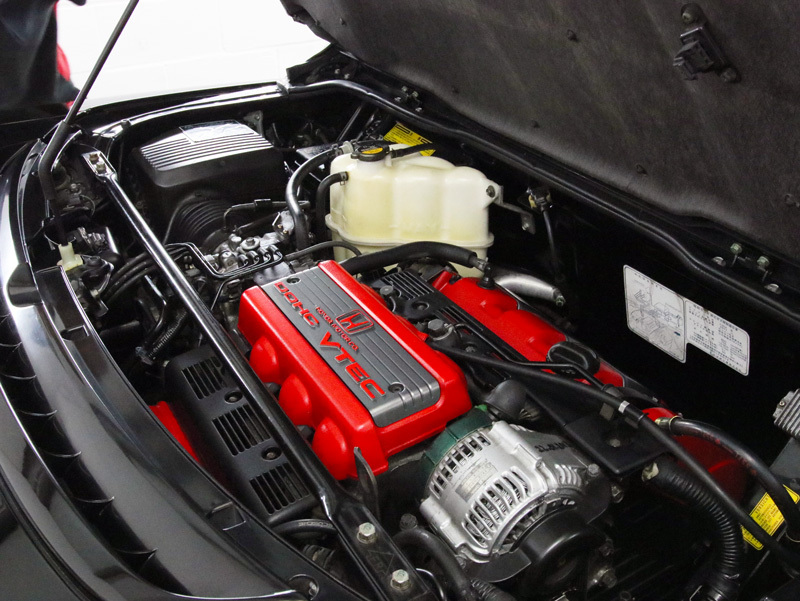 Part of the work specified by the owner was to detail the 3.0 Litre Vetec engine. The initial cleaning of the bay to remove grease and dirt was completed using a combination of Meguiar’s All Purpose Cleaner and various detailing brushes to get into the nooks and crannies. Once free from dirt and grease, the metal surfaces were polished using Britemax Easy Cut Metal Polish to remove tarnishing and then protected with Britemax Metal Sealant to help prevent corrosion. The painted cam covers along with other exposed parts were coated with Autoglym Silicone Free Spray for a natural finish. The plastic covers were treated with Swissvax Protecton. Enriched with jojoba and other essential oils, Protecton is an emulsion containing care agents with active detergents and UV-protection additives. Finally, the rubber hoses were treated with Swissvax Seal Feed. Developed exclusively for rubber, glycerine-based Seal Feed re-invigorates seals and hoses keeping them pliable for years. 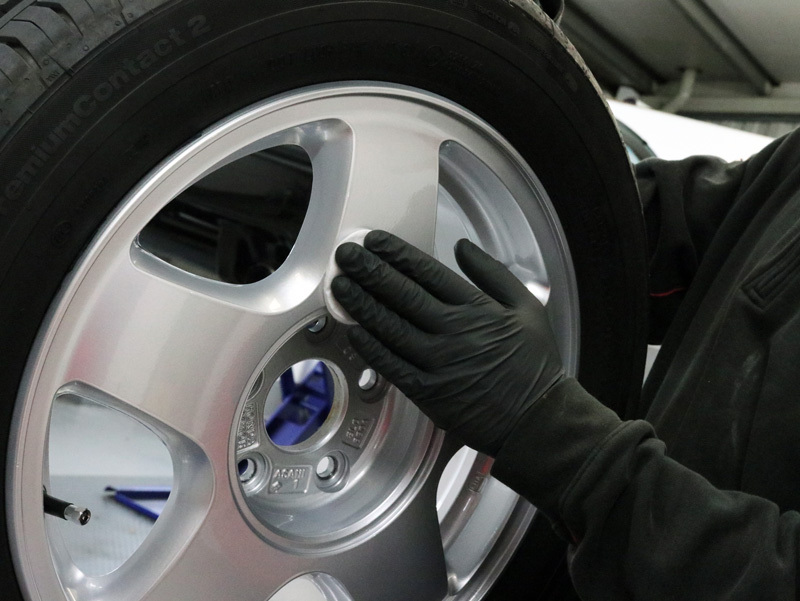 Having removed the wheels, the calipers and wheel nuts were carefully cleaned using a detailing brush and a solution of Meguiar’s All Purpose Cleaner. A BigBoi BlowR Pro was used to dry the calipers thoroughly. 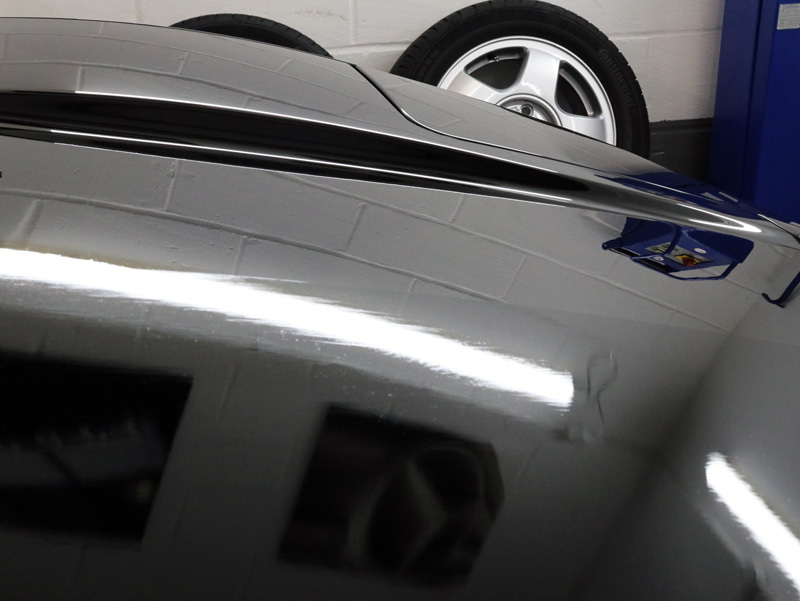 The plastic linings inside the wheel arches were protected with Swissvax Protecton. 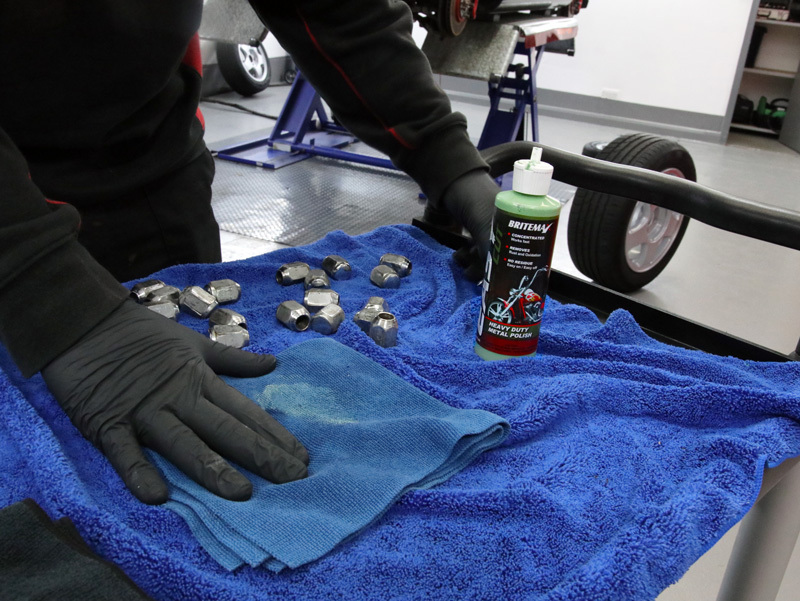 The wheel nuts were polished by hand using Britemax Easy Cut Metal Polish. 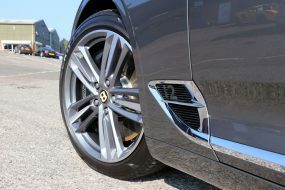 The wheels were treated for iron contamination front and back and a clay bar was used to ensure any remaining spots of contamination were removed. After washing with Swissvax Wheel, the wheels were dried using a BlowR Pro. The wheels, wheel nuts and calipers were sprayed with Panel Wipe and then coated with Kamikaze Collection Stance Rim Coat. 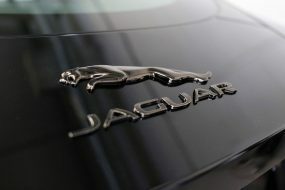 This provides a hydrophobic and oleophobic barrier, repelling dirt, grease, road grime and brake dust accumulation. Highly heat resistant, Stance Rim Coat will not burn off when the components become hot. 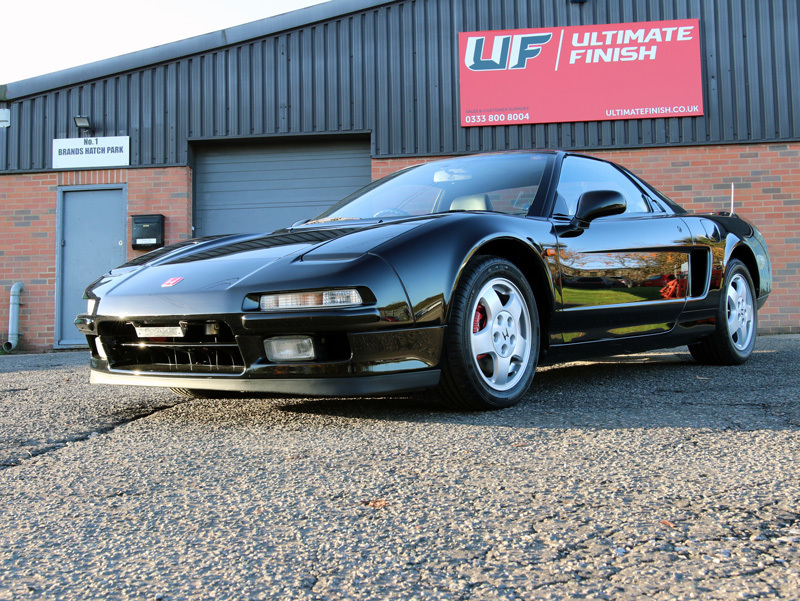 The wheels were replaced on the NSX and the tyres treated with Gtechniq T2 Tyre Dressing to finish the look, providing a long-lasting, natural satin sheen. The fabric interior and synthetic engine cover were vacuumed to remove surface dirt. The leather interior was cleaned using Colourlock Mild Leather Cleaner. The foam is working into the leather using a Leather Cleaning Brush, lifting the dirt out of the grain. The surface is then wiped using a soft microfibre to reveal a clean finish. 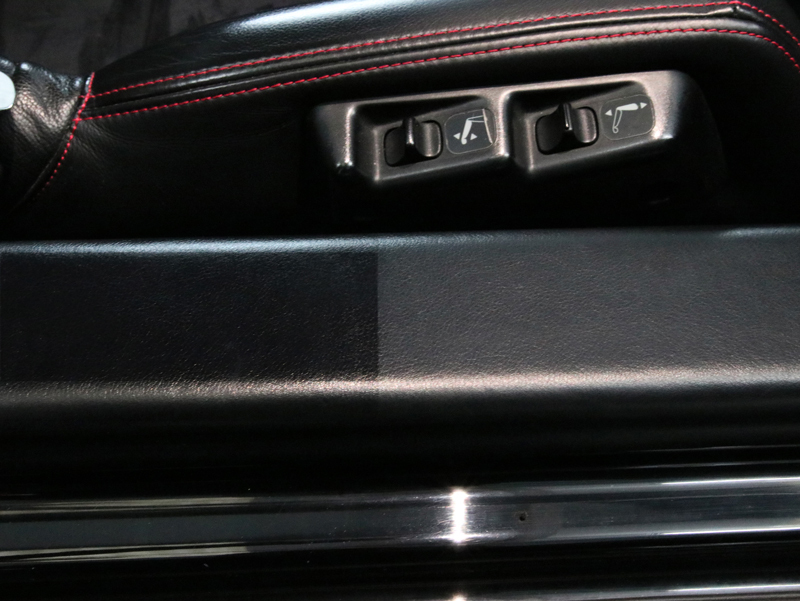 The leather was then protected with Colourlock Leather Protector to inhibit the drying and fading action of UV, helping to keep the material supple. The rubber seals around the doors were treated using Swissvax Seal Feed. This product has been specially formulated to help rubber, a natural substance, regain its form and become plump once more, providing a better seal between the doors and the frames, cutting wind noise. 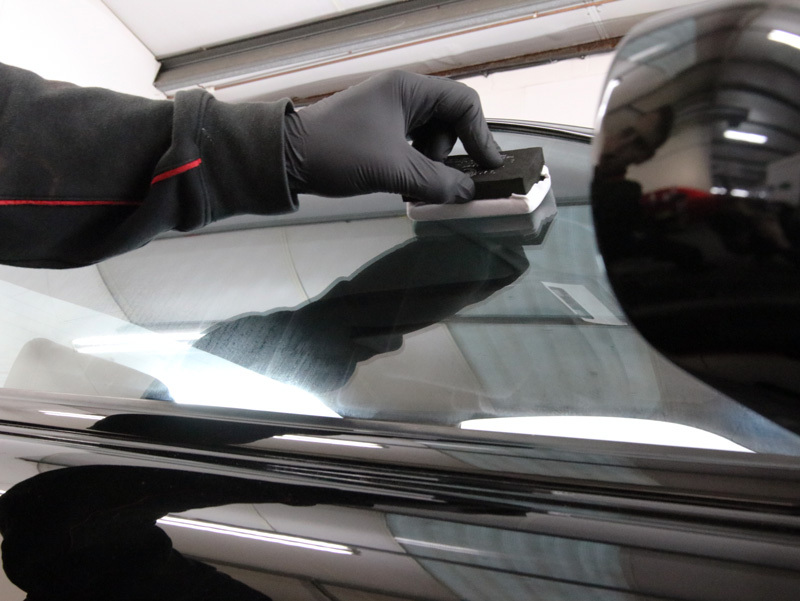 The glass was cleaned using Gtechniq G6 Perfect Glass in preparation for a hydrophobic coating. The windscreen was polished using Gtechniq G4 Glass Nano Polish to remove any fine scratches and to ensure absolute clarity. The windows were coated with Kamikaze Collection Intenso Window Coat. This provides a hydrophobic barrier to rain, causing drops to bead and blow away, even when driving at relatively low speeds. 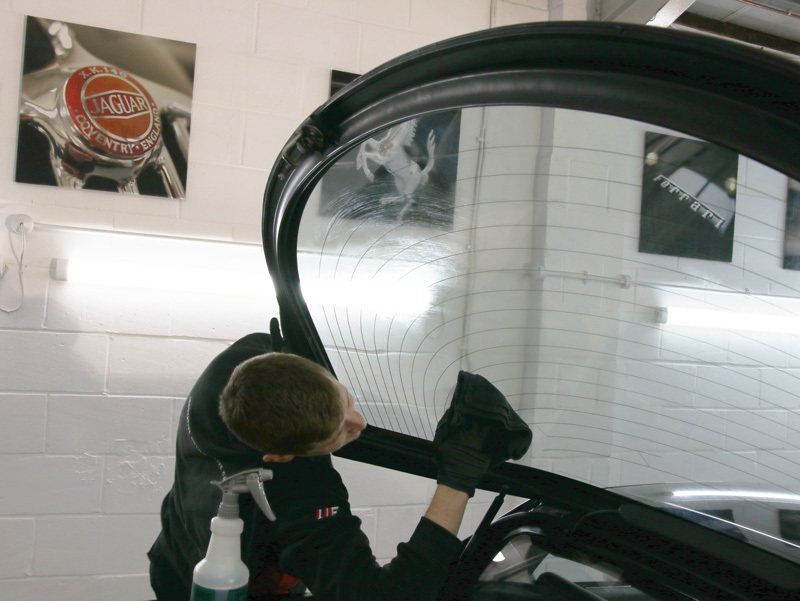 The windscreen wipers were cleaned with residue remover before also being given a gentle wipe with Intenso. 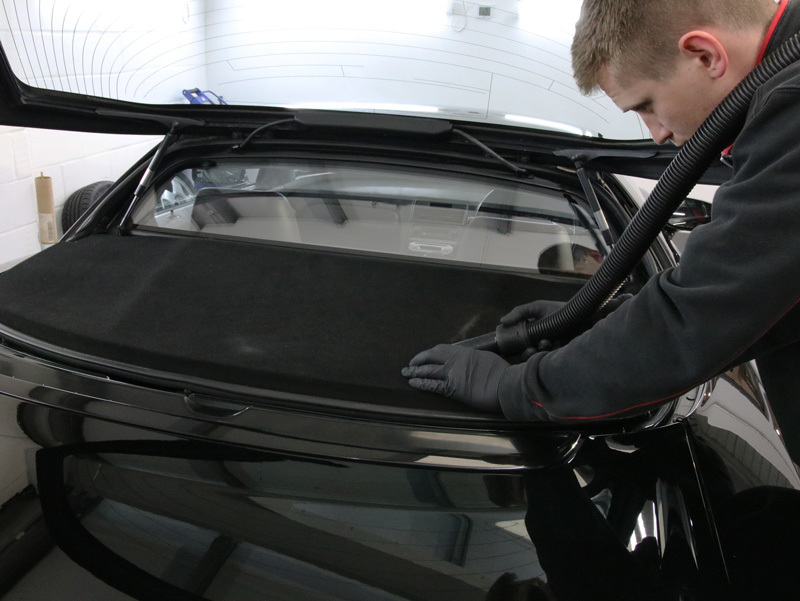 The super slick formulation eliminates wiper judder and helps keep windscreens clear of waterborne contamination. 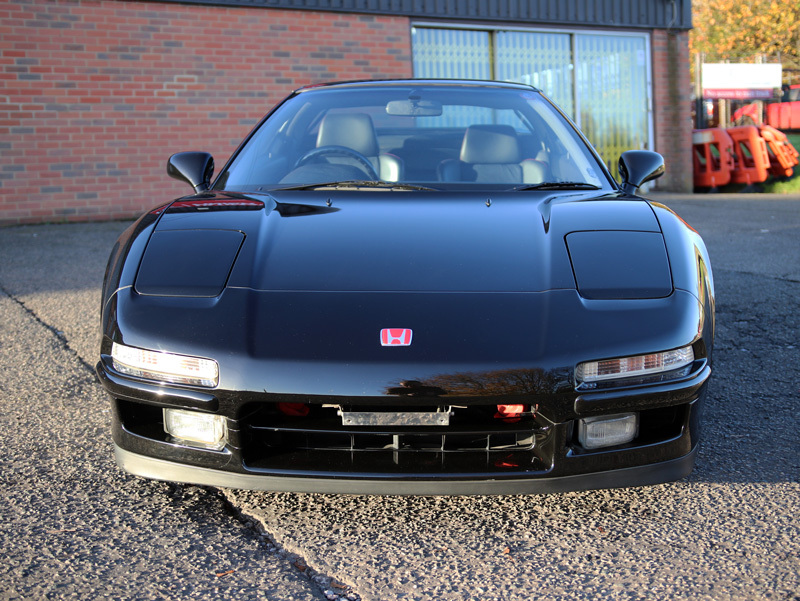 To the owner, the NSX is a romantic and aspirational car, a triumph of engineering. 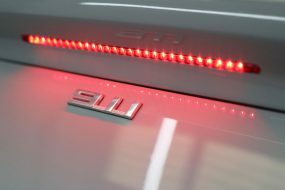 Taking a concept car and delivering it to a production line involves many challenges, from keeping the costs affordable to developing new technologies for painting aluminium bodyshells. To his eyes (and many others who remain passionate about this model) the NSX looks ‘uncluttered’, a pure sports car, ‘a boy’s dream’. 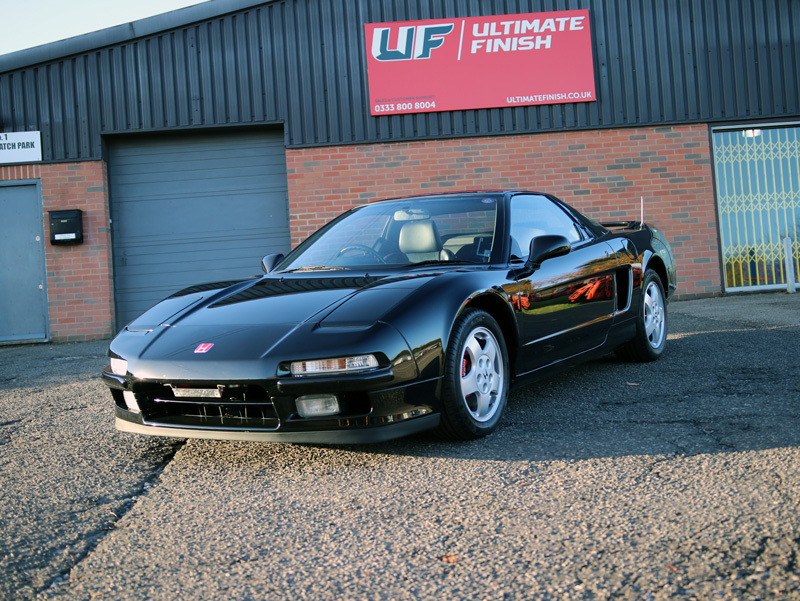 With the work now completed, the legendary NSX was looking as it did (if not better) than when it rolled off the Japanese production line in 1991.